This piece began as a story about my search for Sebastian Faulks’ new book ‘Jeeves and the Wedding Bells’ in my local bookshop. With the giddy excitement of a school girl, I had rushed forth to purchase my copy, but found things less straightforward than expected. The book was not filed under ‘F’ for Faulks as is, I believe, customary. Nor was it among the new releases. But after some first rate detective work, and much tut-tutting under the breath, I discovered the bally thing in the ‘humour section’, under ‘W’, next to Wodehouse. I greatly dislike finding Wodehouse in the ‘humour section’, filed among the joke books, cartoons, mediocre comedy memoirs, and other bilge produced purely as a money-making exercise. P.G. Wodehouse was an exceptional writer, widely acknowledged as one of the best, who more than earns his place on the shelf between Winton and Wolfe. I’ve never read anything else by Faulks, but I believe he deserves the same courtesy. Sebastian Faulks is a living – even youngish – modern writer. In his thoughtful introduction, Faulks tells us he is a Wodehouse fan and explains his reasons for not attempting ‘too close an imitation’ of the original. He also echoes the view of many Wodehouse’s enthusiasts in wanting to introduce Wodehouse to a younger audience. These comments gave me cause for great anxiety about the work to follow, because I had heard them before, not so long ago…. Cast your mind back, if you will, to January 2013. I was giddyish with excitement yet again, leaping about in my chair like a breaching whale, as the long-awaited first episode of the BBC’s Blandings series went to air. There was every reason be hopeful, after two excellent Wodehouse adaptations in the 1990s (Fry and Laurie’s ‘Jeeves and Wooster‘ series, and the 1995 BBC telemovie Heavy Weather), as well as the much-loved 1970s Wodehouse Playhouse with John Alderton and Pauline Collins. When you have such great original material as Wodehouse to work with, it’s surely hard to go wrong. Unless, of course, you decide that Wodehouse needs a bit of ‘freshening up’ for a younger, modern audience. I’m not sure who this modern target audience includes, but if the 2013 Blandings series is an indication, it doesn’t include Wodehouse fans. Within five minutes, my hopes were shattered. After ten minutes, I turned off (actually, I popped the 1995 Heavy Weather television movie on instead). Over the coming weeks, the Wodehouse forum I frequent online was inundated by the similarly disappointed. Blandings wasn’t Wodehouse – it fell flat, and has unfortunately confirmed some people’s erroneous impressions of Wodehouse as a trivial writer of upper class twits. I’m yet to come across anyone who has discovered the joy of reading Wodehouse through this series. It pains me to disagree with Faulks or anyone else wanting to spread the joy of Wodehouse, but I believe this policy of adapting Wodehouse for a younger audiences is misguided. Firstly, it’s important to recognise that Wodehouse has a healthy following among young readers. They may not be as visible or as well known as the more eminent members of our fraternity, but they’re out there, raiding the bookshelves of friends, relations, libraries and booksellers, and quietly getting on with the job of reading them. In researching this piece, I posted a question to members of the very active Wodehouse fan group in Facebook. Within the first half hour, I received more than twenty enthusiastic replies from young Wodehouse fans. Many had been introduced to Wodehouse early in life by their Wodehouse loving families. The thread quickly expanded, with replies from more young readers, as well as wonderful reminiscences from older readers, recalling how their love of Wodehouse began at a tender age – although nothing beats the delight of an older person discovering Wodehouse for the first time. The Facebook fan page is a terrific forum, connecting readers of all ages from around the globe. Age is irrelevant. We are all joined in happy union by our love of Plum. But perhaps my biggest objection to this mania for young audiences is the personal slight. 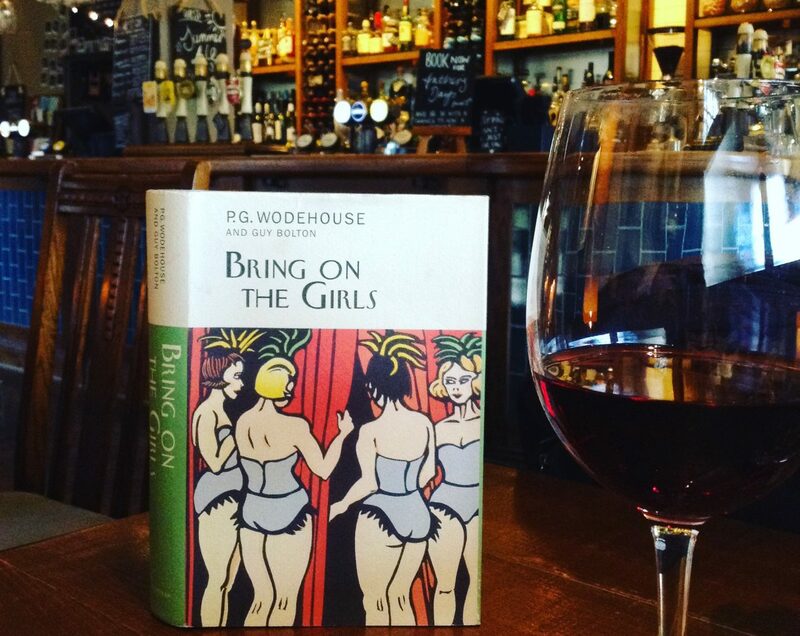 It implies there is something slightly amiss with us – Wodehouse’s dedicated, but slightly crustier fans. The ‘oldest members’ among our ranks are critically important and should not be passed over. Many give generously of their time to help other readers understand Wodehouse’s many references, quotations and cultural elements that would otherwise be lost to us. Projects such as the Wodehouse annotations are critically important. There is nothing to be gained – and much to lose – by continuing to overlook, disappoint and take for granted P.G. Wodehouse’s loyal readers in the quest for finding new ones. 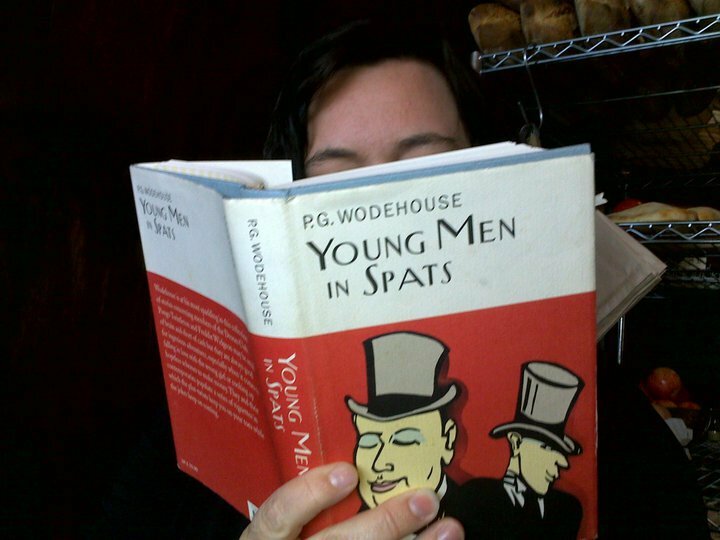 If the stories coming through to me on Facebook tonight (almost 50 of them now) are any indication, when it comes to introducing Wodehouse to new readers, it is the fans who are putting in the bulk of the spadework, spreading largess to friends and family in our wake. We deserve better than Blandings – and so do potential new readers. But we Plum lovers are also an obliging sort, always happy to indulge the next effort with an open mind, which brings me back to where I started – with Faulks’ introductory remarks. It is time to stop speculating, and start enjoying Jeeves And The Wedding Bells. I’ve taken a blow, but my hopes are not dashed. A matter of style: Wodehouse and the modern rules of writing. hi honoria , plug, https://www.facebook.com/groups/theseniorconservatives/, thru yr writing nah? u are an admin in it!!! Good point Brian. Fans can find the aforementioned Facebook group by searching under ‘Fans of P G Wodehouse’. It is friendly (I’ve not encountered any ‘trolls’) and all Wodehouse fans are welcome. Spammers are not – and will be banned. I enjoy it, and have made many friends through this group. Will you manage to get to see and review for us the new Jeeves and Wooster play? I have plans to. Thanks for asking Barbara. I hope you enjoy it! On the whole, I thought it was great – not Wodehouse, no, but a genuinely affectionate and well-written homage. I finished it this afternoon and I must say I really enjoyed it too. I sure will. Thanks so much again for the kind words. I believe that one of the ways to keep him forever fresh in our minds is by bringing various aspects of his work into the blogosphere and onto social networking sites. You are already proving it. Keep it up. Pip pip. Thanks ashokbhatia . There are many of us out there as well, so it’s great to have these ways of connecting. Yes..thanks for letting us know about the FB group. Are there any other groups as well? I believe there is also a very good Yahoo group. I start instantly fulminating whenever that wretched BBC Blandings is mentioned. Another unwatchable series is the 1980s adaptations of the Wimsey stories – the wonderful Bunter is played as a repellently smarmy type that had me turning off the television within two minutes of seeing him. Another well-written, thoughtful post – this site really is a nice find. Thanks so much Victoria. I still have not seen more than half an episode of ‘Blandings’. I also missed the Wimsey series, but now feel relieved to have done so. I didn’t mind the Campion series, although I prefer the books. I only caught a trailer for the Campion series and felt disinclined to watch it. It seemed as if Campion was going to be played as drippy rather than misleadingly vacuous. I don’t think Allingham’s Dickensian sense of London as a living entity would have come across either on the small screen. Perhaps if you threw mega-bucks at it for a film – but even then you would need a Lean. You are correct, I think, about Campion. Great to meet another Allingham reader. She’s one of my favourite writers, but many people seem not to have heard of her. I’m thrilled you’re wasting time here, by the way. I have discovered some very well-argued analyses of Allingham’s novels at http://mysterymile.wordpress.com – perhaps we just don’t know enough people! Oh hurrah! What a happy find. Thanks. I feel an affinity with Margery Allingham that I find difficult to describe. She is probably my favourite female author.